One year ago today, my first book was made available for international release. Planned UnParenthood Creating A Life Without Procreating has been read by diverse demographics. It has not just been those who have decided on not having children that have taken to reading the book. Parents, and those who are on the fence have written to me with their compliments and critiques. All of which I am grateful for. 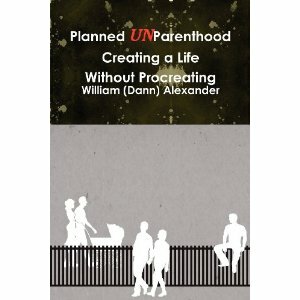 Planned UnParenthood still remains (to my knowledge) the first book about not having children written from a male perspective. This book thankfully will continue to enjoy a long shelf life. With TIME magazine recently running an article from Lauren Sandler about the childfree lifestyle, the choice and decision not to have children has suddenly become a human interest story again. Because of this feature piece, other authors who have contributed great reading material about childfreedom have recently appeared on television as interview subjects. One of the most important things learned so far in putting out a book under my own label, is that I’m far from complete on the learning. I still have much farther to go when it comes to being a proper marketer. It can be a challenge when my personality is naturally introverted. Talking about writing is certainly enjoyable, and the interviews I have done for this book have been very positive experiences. The interview I did recently with Luke Abaffy at Authorfeast gave me the opportunity to chat childfreedom and writing at length. As time permits, I will be spreading more word around about Planned UnParenthood in the coming year. As I grow in my marketing abilities there will be more opportunities to plan promotion while balancing out promotional time of my next book. If you are someone who does not have kids, are on the fence about having them, or a parent who wants to perhaps understand the reasons why some people pass on parenthood, then you will enjoy reading this great little gem of a book I wrote. Posted in Notes from the Frogpond.Tagged Amazon, book listing, books about being childfree, childfree, Planned UnParenthood, Planned UnParenthood Creating a Life Without Procreating, Sylvia D. Lucas, writing. As a fellow introvert, I feel your pain. Self-promotion is the devil. I always have to remember, “I wrote this so it would be read,” and sometimes the only way to get something read is to let people know it exists. Feels icky doing it, but what else can you do? I know I have to work much harder to sell more. I’m trying to find the balance of being able to get out more word without having people view my social media feed as spam. I try to mix things up, loop a trend through twitter on to it in order to have an excuse for promotion and seek out opportunities to discuss. One of my next plans is to present a proposal to the host one of my favourite podcasts to see if she would think about discussing the whole topic and my own experience. Congratulations on the 1 year anniversary of your book! We needed a book by a man in this category. My book, Kidfree & Lovin’ It! will be 1-year old this November, and I feel like my promoting has just begun. (It is very hard to be both a writer and a promoter at the same time!) I surveyed over 4,000 non-parents and only 20% were men. It seems they’re not as involved in this topic as women, but really the decision takes TWO! Ironically, my Childfree Dating Survey has received a higher percentage of males, and it’s results will be published in my book Childfree & Single. I look forward to reading your book, Planned Un-Parenthood, Dann.. Thank You! Congrats on your coming anniversary. I am grateful for your kind comments. If you do have a chance to read it, I would welcome your feedback. I am open to all reviews as they keep me working. I need to work harder at selling my book.